"UK business live video streaming and video hosting services." StreamingVideoProvider UK offers business and corporate users cheap HD streaming video hosting and live video streaming services delivering video streaming to desktop and mobile devices such as PC, Mac, iOS (iPhone / iPad), Androids. The video hosting service comes with video uploaders and encoders that let you host and stream large and long HD videos. Business users can also do live video streaming from rtmp encoders, or iOS mobile broadcaster apps, customise and generate HTML5 / Flash web video players and embed on webpages. With local video streaming PoPs and CDN in UK, USA, Asia and Europe, StreamingVideoProvider is able to offer affordable service with prices starting from £9 GBP. Business phone support is included as part of the streaming service plans. Streaming live events using the live video streaming service is easy. Business users can connect their webcams or live stream directly from the EzeCaster Pro hardware multibirate encoder or by using any other RTMP encoder. You can then broadcast a live stream to all devices including iOS and Android. The video players will auto detect the device and will switch between Flash or HTML5 players. The dynamic bitrate streaming ensure viewer bandwidth detection and smooth HD streaming. Need to learn how to protect streaming video from being stolen? Secure video hosting that offers high protection using IP , Geo and Domain security control is very important if you are trying to protect your premium video content especially if you are trying to sell access on pay-per-view basis. Your viewers must be block to illegally download your videos. StreamingVideoProvider offers unmatched pay-per-view (ppv) video solutions that enable you to sell your videos and make money by offering ppv or subscriptions. Sign up now to try our PPV video hosting & live streaming solution. EzeCaster Mobile lets you broadcast your live events from any location. Thanks to 3G, 4G and Wireless connection support, your viewers will never miss a moment. It is as simple as open the App and start broadcasting. 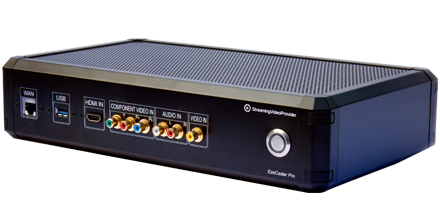 The EzeCaster Pro is a stand-alone full HD live video encoder that accepts HD and SD a/v signal. 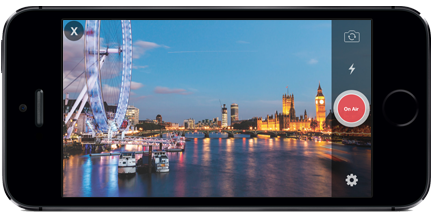 Video broadcasters can now deliver Multi-bitrate HD live video streaming to Flash, iOS and Android devices using the StreamingVideoProvider delivery service. ScreenRec allows you to record your desktop screen with audio or take annotated screenshots and share them instantly, in a click! StreamingVideoProvider has just added a new Concurrent Viewers Counter for Live Event Streams and VoD videos. The new active viewer counter is visible from your Broadcast Panel in the Local Preview Player at all times. Giving you insights about the amount of viewers watching your live event. Stream your HD live & video on-demand content securely, with full control and instant playback - no matter where your viewers are. Looking to monetize your videos or live broadcasts? In less than 15 minutes you can set up your own private membership solution. Secured streaming over RTMP protects you from users downloading your videos to their computers with sniffing tools. Be sure that your content is delivered in the highest quality to all desktops, tablets, mobiles and connected TVs. Add your own branding (overlay logo or text) on top of the video and make StreamingVideoProvider completely invisible. Video apps & Playlists can save you time and money that you'd have spent trying to develop them yourself. Simplify your productivity. Discover where your viewers are located, when and what they are watching and how engaged they are in real time. Upload Once and Reach all devices. We provide automated video encoding for your videos. We also offer HTTP and FTP automation. No Advertisement, Just your content. Ad free players and broadcasts. Your clients see what you provide without interruptions. Need to interact with our video platform? We have advanced publisher API and JS API that enables you to do pretty much everything.